We are sad to announce the passing of Katherine S. Lodge, a true preservationist at heart. Katherine and her husband John received the first Preservation Award for stewardship in 2008. The award has since had many recipients and was named in their honor: The John A. and Katherine Lodge Stewardship Award. 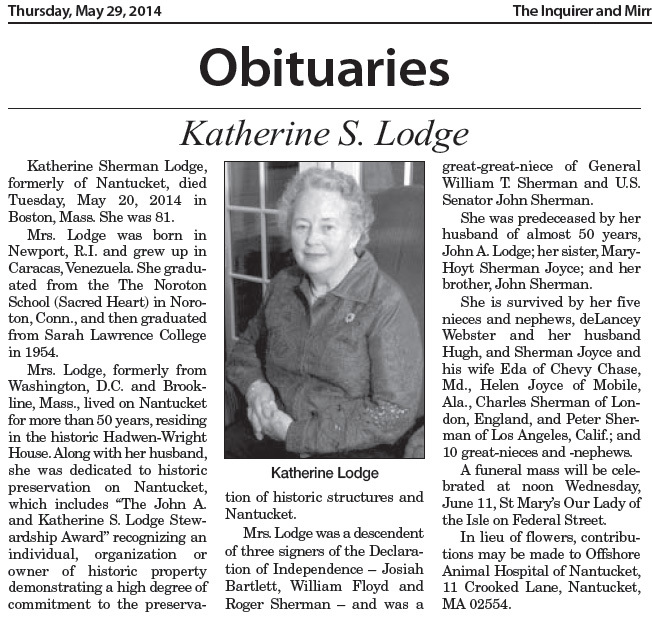 Katherine S. Lodge was the owner of 94 Main Street and honored for her stewardship of one of Nantucket’s best-known landmarks. The Lodges purchased their home in 1962, which still retains remarkable exterior and interi or spaces that have been maintained with the utmost care. The Lodges’ stewardship was simple: protection by maintenance and care, sensitive repair and additions, and careful consideration of historic fabric. Mr. and Mrs. Lodge were true preservationist at heart. *For more information on the 2014 Preservation Awards please click here. 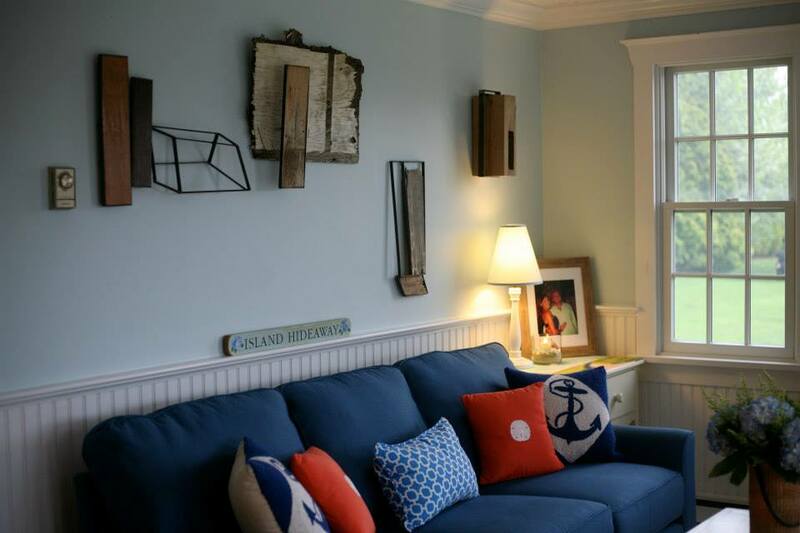 This event featured Nantucket artist Nick Addeo and his art pieces, which are created out of re-purposed and preserved driftwood. Attendees were welcomed into a private home and able to enjoy cocktails, light hors d’oeuvres and sweets by Missy’s Minis Online Bakery. Addeo’s artwork was available to view hung along the walls and placed throughout the home. This was a great opportunity to look at preservation in a different light and enjoy a Nantucket artist’s work! 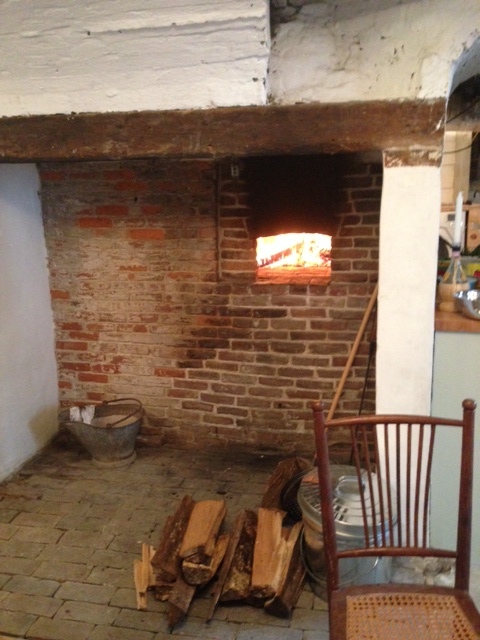 For a second year the Nantucket Preservation Trust and Maria Mitchell Association have teamed up to host a historic bake oven demonstration. Attendees had the chance visit a private historic home for a cooking demonstration, tasting and discussion concerning the development of chimneys, fireplaces, and bake ovens with historic masonry expert Pen Austin. Word is pizza out of a bake oven is like non other! During Nantucket’s busy Memorial Day weekend some ventured out of town and enjoyed a lecture given by: Nantucket’s HDC administrator Mark Voigt. 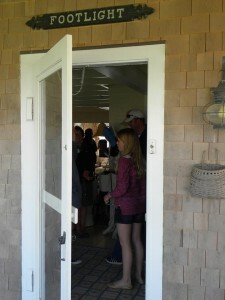 Attendees learned about preserving Nantucket’s historic architecture in the unique setting of Bartlett Farm’s Hayloft. 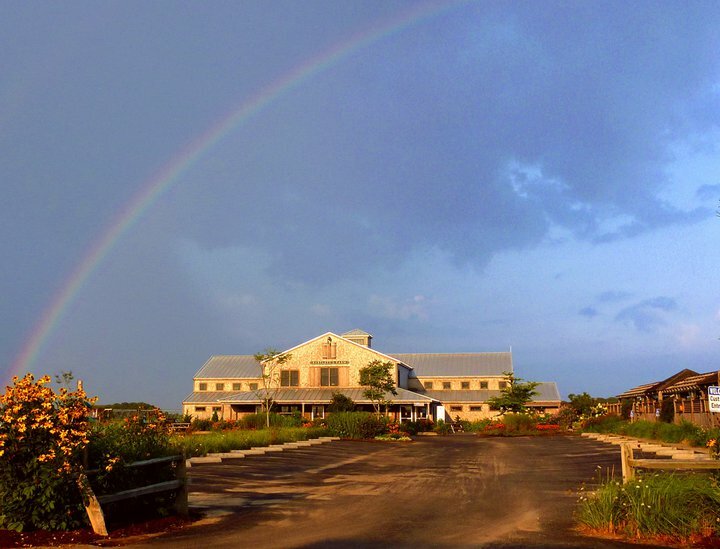 The hayloft lecture is part of Bartlett Farm’s “Farm Talks” which are held Saturdays at 10:00 AM. For more information click here. Saturday afternoon of Memorial Day weekend the Historic Unitarian Meeting House offered a tour and lecture in celebration of Preservation Month. This historic church has been around since 1809 and recently underwent a restoration project starting in 2009. To continue the preservation of the church the South Church Preservation Fund has established a permanent preservation reserve. To learn more and see how you can help click here. 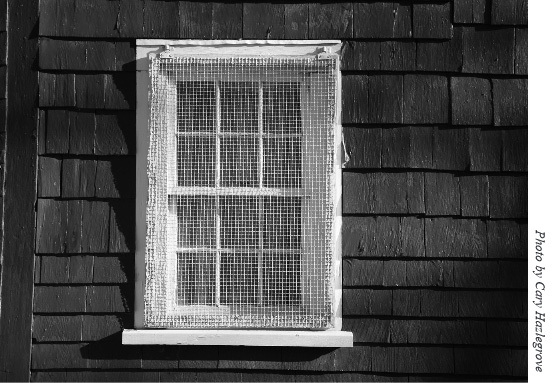 Did you know … that windows constructed before 1940 were built of high-quality, old growth wood in easy-to-assemble parts that can be repaired? These windows were built to last for generations or centuries if cared for. Most can even be reused if in poor condition and refitted sensitively with storms to make them energy efficient. The beauty of an old window is that it fits the old style of a historic building, and often holds old wavy glass sometimes with bubbles that actually mark a breath taken by the glass maker. Old windows are worth preserving and help make a Nantucket house historic. One historic building type–identified by a barn-like Gambrel Roof–is hard to spot in the historic downtown because there are only nine remaining examples dating to the eighteenth century. 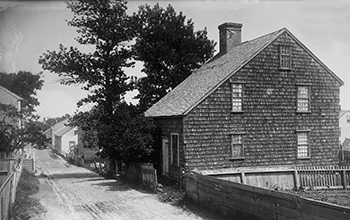 But prior to the Great Fire of 1846 there were many buildings that had gambrel roofs. A gambrel is simply a roof with two planes, or double pitched per side. Many associate the gambrel with barn roofs, but historically they were used for dwellings and commercial buildings. Its advantages include increased interior space and adequate room for large windows. 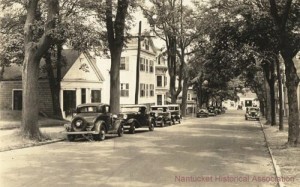 Today gambrel roofs are found in many newer homes across the island. One telltale sign you are in a historic Nantucket house is the use of interior transoms. These rectangular shaped windows at the tops of doors are usually found in hallways and between interior rooms. On-island transoms usually have four panes of glass, and are used to bring more light into a room. If not fixed, they also can be opened for air movement.Transoms help brighten rooms, and are part of what make a Nantucket house historic. For the past nine years, the Annual August Fête has celebrated Nantucket’s historic architecture, as well as promoted awareness and raised money to help encourage historic preservation across the island! New this year we are offering business sponsorships. A business sponsorship will allow you to reach a unique audience of 350+ Fête attendees of which 25% purchase at a leadership level ($500+). We hope you will consider supporting the Nantucket Preservation Trust by sponsoring the Annual August Fête. Your contribution will help us achieve our goal to preserve our architectural heritage for present and future generations to enjoy! A landmark and be acon from the sea, the Unitarian Meeting House was built as a place of worship for the island’s expanding Congregational church. 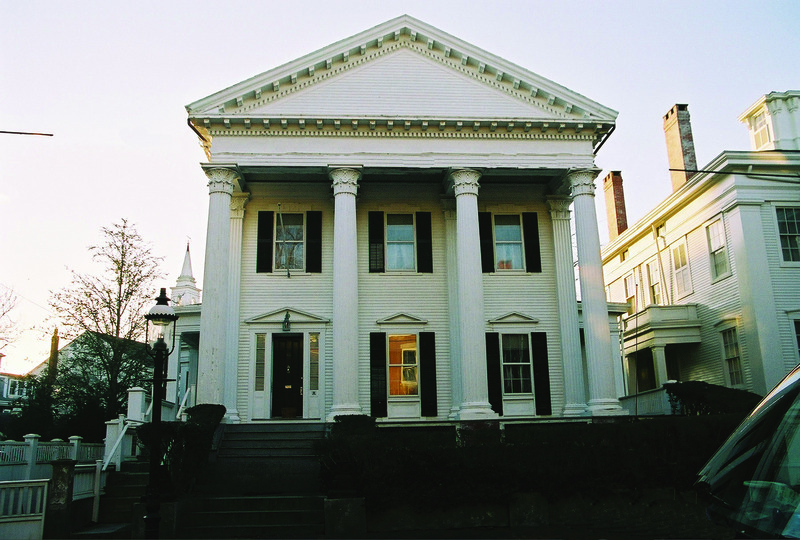 Originally known as the Second Congregational Society, in 1837 it became a Unitarian church. 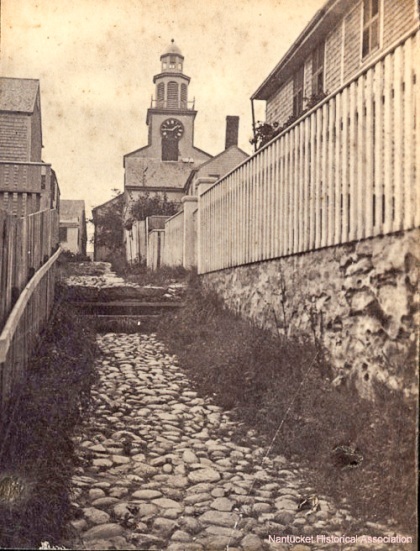 It is also referred to as South Church, distinguishing it from the First Congregational or North Church on Centre Street. 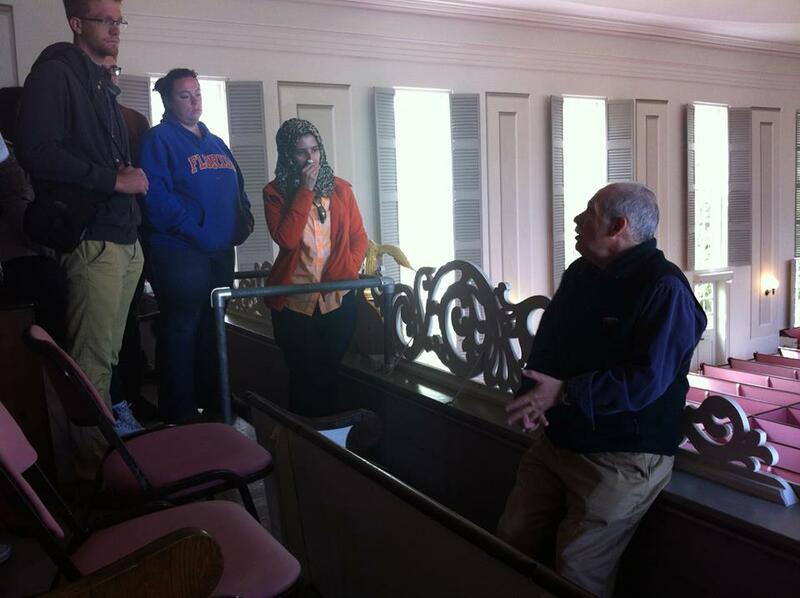 Throughout its history, the meeting house has played an important community role by opening its doors to intellectual discourse as well as to entertainment, community events, and for worship to various religious groups. In the nineteenth century, many of the town’s leading citizens attended services here—perhaps the most famous being librarian and famed astronomer Maria Mitchell, who probably heard Ralph Waldo Emerson speak in 1845, and Lucretia Coffin Mott, the antislavery and women’s rights activist who spoke in 1856. Construction on the meeting house began in 1808 by carpenter Elisha Ramsdell and his crew. The building has evolved over the years, originally with a simple tower, that held the first town clock. Installation of the Portuguese bell in 1815 further led to rebuilding of the tower in 1830 to accommodate the weight of the bell. 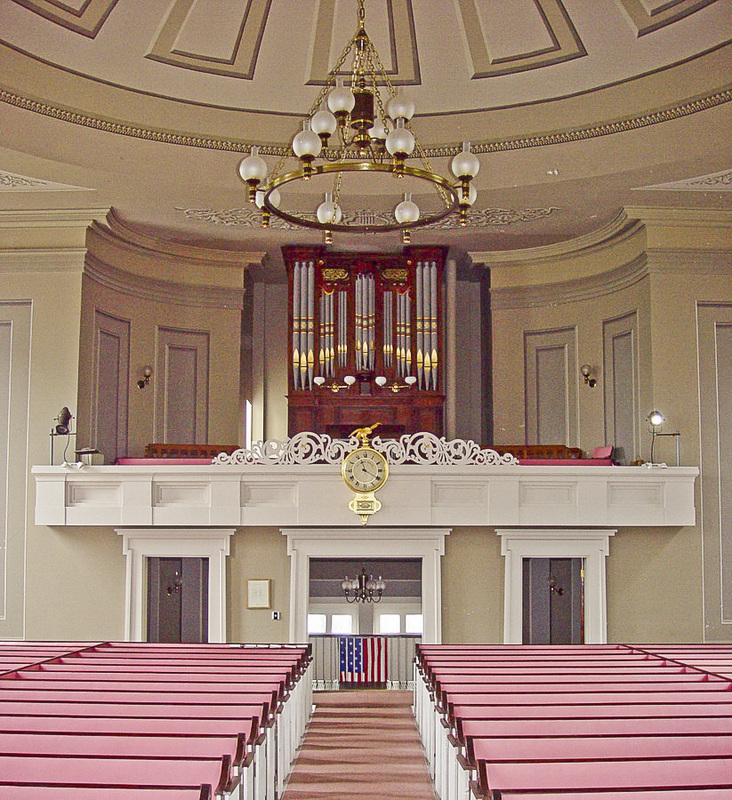 At that time—the height of the whaling heyday—changes included raising the floor of the sanctuary to create a usable meeting space below, redesigning the interior, and the addition of the loft to accommodate the Goodrich organ that has graced the meeting house for over one hundred and eighty three years. One of the most notable changes was the addition of interior decorative painting in 1844, attributed to German artist Carl Wendte, and recently restored. It’s Friday, May 16th which means we’re half way through National Preservation Month and we’re off to a great start! 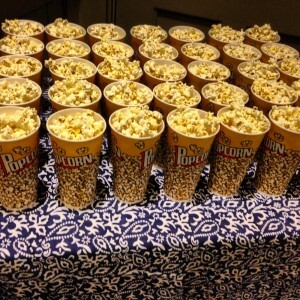 The NPT held a kick off event for the month long celebration on May 1st at the Dreamland Theater. Executive Director, Michael May gave an overview of how the month began, what the NPT does and can do for the Nantucket community and highlighted the month long event calendar (organized by the NPT). Now it has been up to the Nantucket community and its visitors to enjoy the events, show their support for preservation and have fun! Remember the 2014 theme is: “New Age of Preservation: Embark, Inspire, Engage”! Take a look at how Nantucket has already begun to engage themselves in the month long celebration. Held at the Dreamland Theater in the upstairs Studio Theater at 5:30 PM. Attendees enjoyed an overview of the month’s activities and were able to hear the official public announcement of the 2014 Preservation Award recipients. 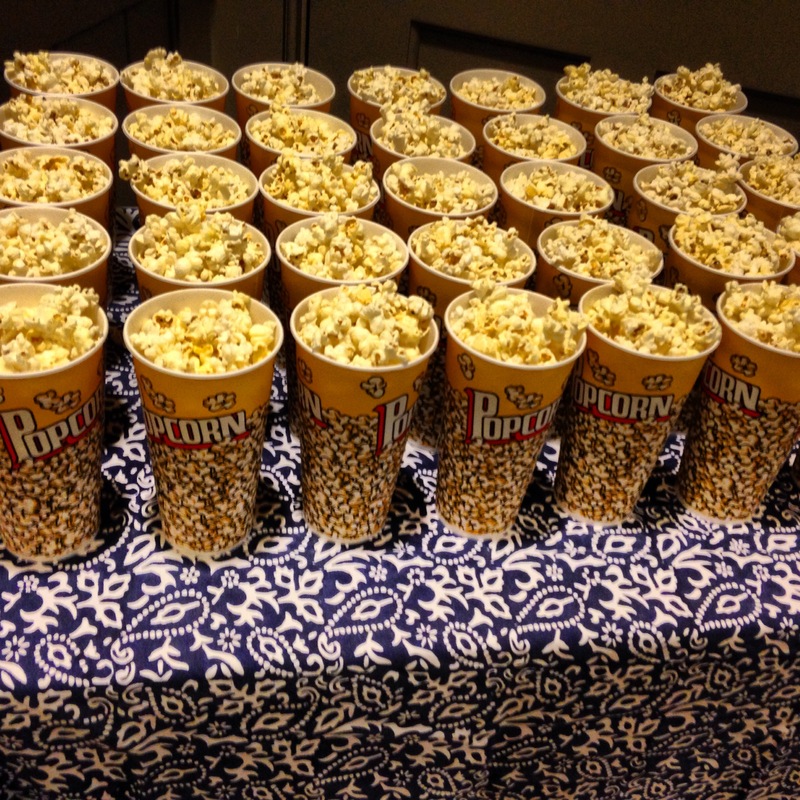 The Dreamland Theater kindly provided popcorn and a great venue to kick-off National Preservation Month! A special screening of the documentary: Cherry Cottage was held in celebration of National Preservation Month. 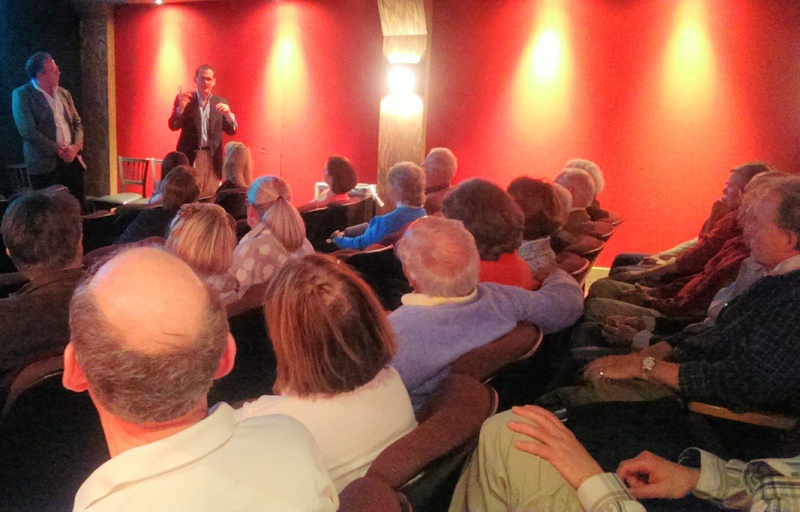 Attendees enjoyed a screening of the award winning documentary, a brief Q&A session with film director, Dave Simonds and cottage owner and producer, Hans Morris. Those who decided to stay were invited to mingle with Simonds and Morris, while enjoying appetizers provided by the Starlight Theater & Cafe and a cash bar. Thank you to Dave Simonds, Hans Morris and the Starlight Theater & Cafe for your generous time and support of the NPT. On Mother’s Day the Siasconset Beach Preservation Fund offered the opportunity to view three historic Baxter Road homes during what turned out to be a gorgeous day! There was also an area provided where tour goers had the opportunity to view and discuss the current Bluff protection project. Thursday evening in Mitchell’s Book Corner upstairs Community Room Beau Barber of Barber Brother’s Furniture and Sam Myers of Nantucket Yard Guard discussed how they are currently in the process of turning the iconic Brotherhood Elm Tree, into a table. The thorough lecture went through the specifics of Elm Trees, the devastating loss of Nantucket’s Elms due to disease and how they hope to auction off the table (once completed) to benefit the Nantucket Tree Fund. Attendees had the chance to view a great slide show featuring images of Broad Street from the 1800’s to present day, where the Elm once stood. If you haven’t had a chance to attend an event or show you’re support there is still time CLICK HERE to view the event calendar. We are also still accepting photo submissions for the 2nd Preservation Photo Contest or you can enjoy the special Preservation Month cocktail “NPT ’55” at Cisco Brewery (available the month of May). On October 31, 1808, house carpenter Abner Howard purchased twenty-two square rods of land on Pine Street for $250.00. 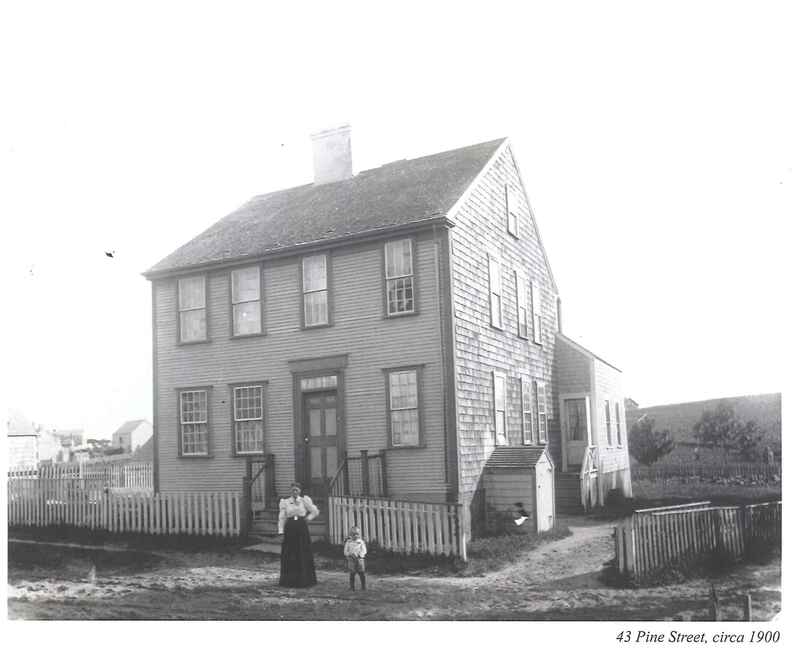 Two years later he sold the property, with a dwelling house, to mariner David Swain 2nd (1784-1841) for $1,350. Swain became a master mariner and was a captain of a number of whaling vessels: Lydia, 1808-09 and 1810-12; John Jay, 1815-17; States, 1818-20; Constitution, 1821-23; and Lydia again on tow more voyages, 1825-28 and 1830-33. His first wife, Phebe Ellis (1791-1831), spent most of her married life managing the household and four young children while David was at sea; she died while he was away on his last whaling voyage in the Lydia. In1834, shortly after his marriage to second wife Eliza Bunker (1799-1868), Swain sold the house at 43 Pine to another master mariner, Seth Coffin Jr.
Seth Coffin Jr. (1790-1844) was captain of the whaleships Criterion, 1820-23, and Aurora, 1823-26. He was married to Lydia Coleman (1793-1872) and they had a large family: three sons and three daughters ranging in age from two to eighteen in 1834: a fourth son was born at 43 Pine Street in 1836. The Coffin family owned the house until 1886, when daughter Charlotte M. Brock sold it to Obed Mendell, who owned it only three years before selling the land and the house to Houghton Gibbs for $135.41 in 1889. Joseph J. Araujo, a fisherman, purchased the house in 1910. He had immigrated to the United States from the Azores in 1900, at the age of forty, and four years later his wife, Beatrice, and four daughters joined him. The U.S. Census for 1920 indicates that the daughters all lived at home with their parents: the two middle daughters worked as housekeepers for private families, the youngest was a nurse, and the eldest was unemployed. The Araujos also rented a room to an Azorean man who worked as a mason. In 1954, David and Mary Elizabeth Masters of Pennsylvania purchased the house at 43 Pine Street from the estate of Joseph J. Arujo for $6,825. They owned the house for more than thirty years. 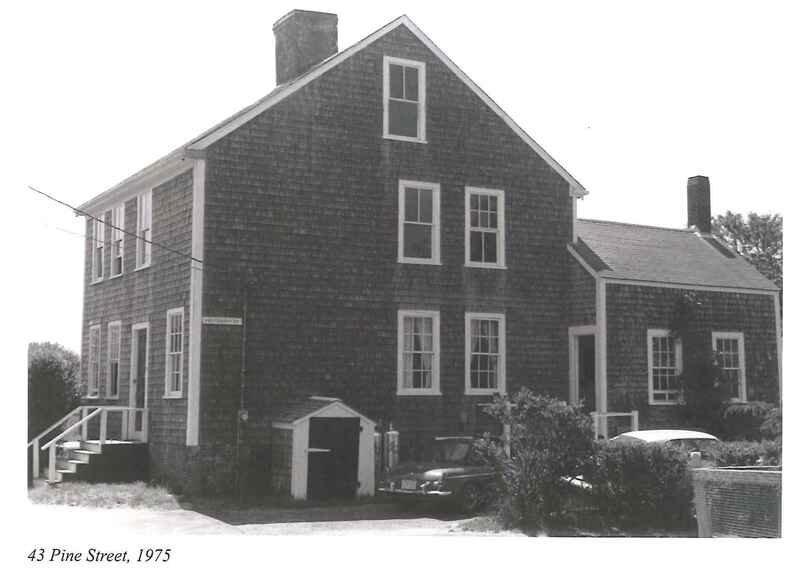 The house Abner Howard built two hundred years ago is an example of a “typical” Nantucket house: two and a half stories high, four bays wide, with a ridge chimney. Late nineteenth-century photographs show that it had clapboard front facade and glass lights above the front door, the latter a feature that was restored when the house was renovated in 1988. 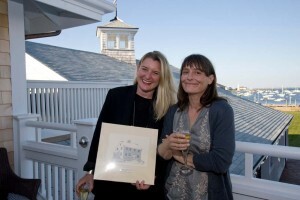 Michelle Elzay of Sparrow Designs was awarded a 2013 Architectural Preservation Award for her projects at 43 Pine Street, which included the restoration of the original bake oven. A bake oven demonstration will be held on May 17th in honor of Preservation Month hosted by the NPT and Maria Mitchell Association. There is limited space and reservation are necessary. Please call 508-228-2896 to reserve your spot today. Remember tune into 97.7 ACK-FM Mondays & Fridays at approximately 9:15 AM and 4:20 PM to hear the weekly preservation tip or fact! The first “Nuts & Bolts” Segment aired yesterday, May 5th. Did you miss it or not catch the entire segment? Luckily, we’ll be providing a recap of the week’s segment along with a photograph posted here. You can read more about the first segment below and check back each week to keep updated. Did you know that Nantucket’s early builders were ‘green’? Houses built before the mid eighteenth century were oriented towards the south so their windows could capture as much solar energy and warmth as possible. Chimneys were located near the center of the house to reduce heat lost and help radiate heat from the core out to the living spaces. A long sloping roof along the north side, known as a cat-slide or lean-to roof, directed the north wind up and over the dwelling and added extra protection from the cold. As you travel the lanes in town you will see the oldest houses are usually on the north side of the streets—the choice lots to capture the sun’s southern rays.